After you've sourced the finest selection of antipasto you can find - the wafer thin hams., prosciutto, the rich green Spanish olives and ruby red salami, you need the right board to array it on to make it look rich and appetising. 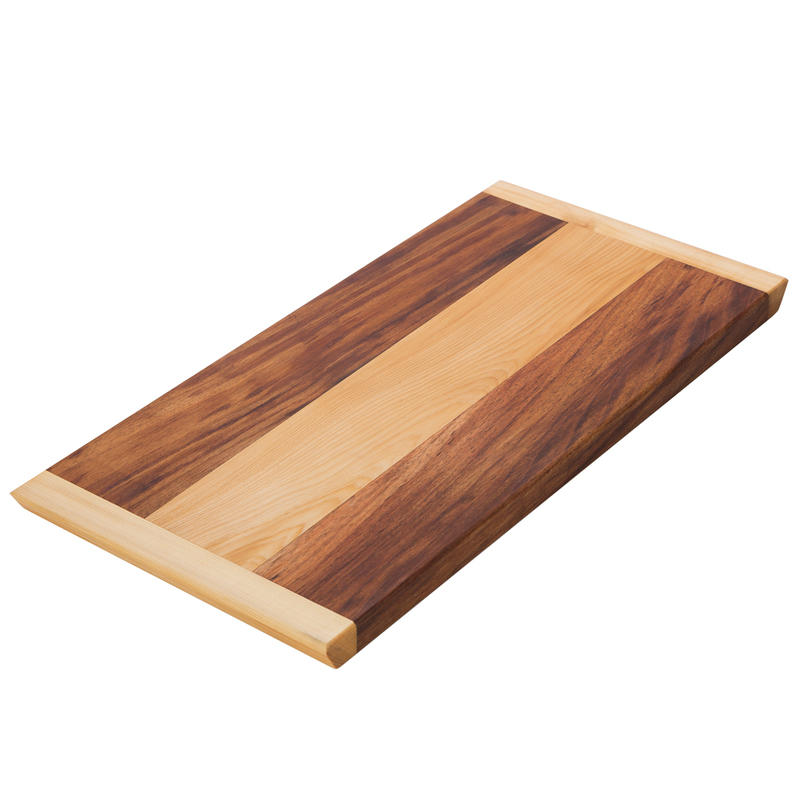 Behold the Blonde Wood Antipasto Board from the Big Chop. It's a work of art. This beautiful serving board composed of Blackwood in shades of pale brown to dark brown and creamy white to pale yellow Celery Top will soon inspire even more expeditions for suitable exotic antipasto to display on it. You'll want it to look organic and artistic to match your board. Tasmanian craftsmen construct each unique board from hand selected timbers, ensuring this small but sustainable supply of native timber is available for generations to come. Durable and heavy enough to have a commanding presence on your table or sideboard, it will last throughout a lifetime of entertaining.